Hi TiS readers! Today we'll talk about Kaolin clay. It's got a cool chemical structure (pictured) and is found in, well, a lot of things! Kaolin clay is made up of the constituent kaolinite and has the notable composition of aluminum oxide (Al2O3) and silica (SiO2). It is these constituents that help to confer the multitude of uses of Kaolin clays. You can find Kaolin used in pottery, toothpaste, lightbulbs, paper, food additives, and it has been used to help fight diarrhea (that's where the medication "kao"pectate gets its name!). For us now, we'll talk about the cosmetic and skin uses of Kaolin clay. Kaolin has been used for hundreds to thousands of years in facial applications, masks, and has even been eaten. Unfortunately, there has been no serious scientific research on the dermatological effects of kaolin, but it's safe to say that with its rich history in personal use, it's a pretty safe natural ingredient. The only toxic effects that may be associated with kaolin are breathing in the dust from industrial level exposure such as mining. Unless you work in a kaolinite rich mine or other industrial setting, these shouldn't be concerns. Being the ever paranoid doctor, I'll say if you are working to make your own skincare products that use kaolin clay (or any other clay for that matter) I'd recommend using a mask. Its good practice to prevent breathing in the fine dust particles of any clays. This is to be extra safe and eliminate any immunological or respiratory responses to the fine dust. Ok, moving on to use in skincare. Hey, read your favorite makeup ingredients (especially powders, liquid powders, etc.) you'll find quite a lot of cosmetic products using kaolin. They are terrific at preventing powder based formulas from caking. Kaolin is used in cleansers as well. It has an ability to dry the skin and has uses to fight acne as well as increasing localized circulation, which can contribute to fighting inflammation. How does it work? It's not exactly known. I can tell you, however, the unique constituents of aluminum oxide and silica are natural minerals that most likely contribute to any (and possibly all) the effects we see on the skin. Minerals, especially when we are not exposed to them regularly, can have significant effects of the skin when we are finally exposed to them. However, these minerals/clays are not intended to be used regularly. Unfortunately, since there is no scientific or clinical data on kaolin in dermatological practices, there is a lot of contradicting descriptions out there. 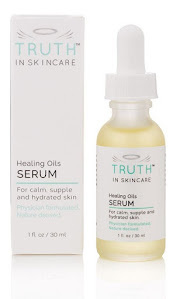 Some say it's great for sensitive skin, and some say it's to be avoided by sensitive skin. 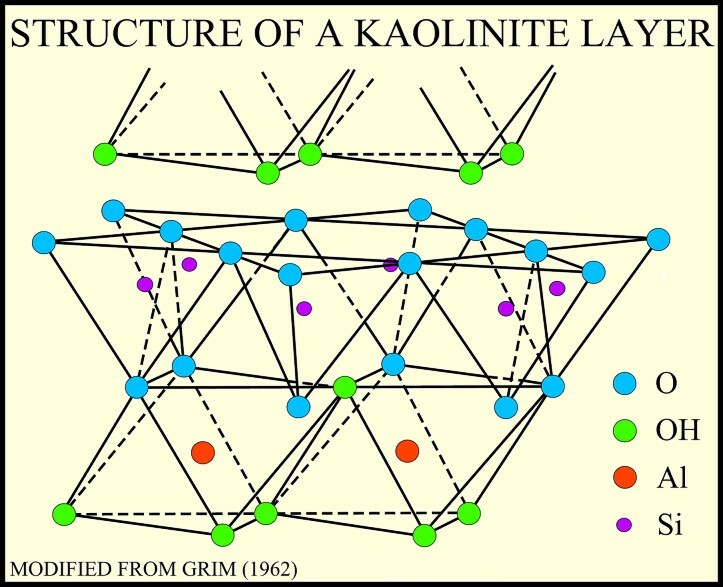 I say it's not the Kaolin that matters as much as the formula it is found in! There really is no harm in trying. I think it should be a good start to see if it works to clear up acne or excessively oily skin (before using harsher medications). The adverse effects (if any) will be limited to increased dryness, flakiness, and possible redness of the treated area, which all go away once its use is stopped. Many claim that Kaolin also tightens the skin, and anyone whose used it has felt that indeed. However, this is most likely a temporary effect due to the absorption of moisture from the skin, thus leaving it "tighter". Kaolin is the active ingredient in so many masks. This is why in my previous post on the Mint Julep Mask, I note that it's wise to look into your favorite masks. If kaolin is the active ingredient, you can think about switching to a cheaper mask with kaolin if you want to save money. I'd say making your own masks from clays could be the best way to benefit from them. To get the maximal benefits from ingredients like Kaolin clay, it's best to use it fresh. It won't lose any effectiveness as it would sitting in a jar/bottle with other additives. Experimenting with these wonderful raw materials can also be a great experience by opening the doors to a personal understanding and that natural ingredients demonstrate powerful properties that are not limited to "modern cosmeceuticals". Just a couple of masks I personally have used in fighting my own acne outbreaks are the Mint Julep mask and ProActive's Refining mask. Please Note: Unfortunately Proactive usually does not sell this mask alone. I think its definitely a great item, but not worth having to buy the whole system (shame on you Proactive!). Unless, you want to buy the whole system to give it a try, then it's best to be on the lookout to buy this item alone. Note: I am not endorsed by, paid by, or receive free samples from the companies above, nor any company for that matter. The specific products mentioned are from my own personal use and there may be many other products that are just as effective. Hello, I have been just reading up on the benefits of this clay. I have bag of just Kaolin Clay that I add Rosemary oil with to make a mask. I must say, that I have spent some money on pricey masks, but I keep coming back to just using this clay. I have acne prone skin and when I was in Iraq I broke out a lot. Since I have been home I use this like once a week and it calms my skin and dries out my current acne. The bag I have has a shelf like of around 3 years if kept in a dry, dark area, which is great. Sometimes the best thing you can do for your skin is to make a mask from scratch- you know exactly what is going on you skin and also you save money. Hi- Can you tell me if this clay has natural SPF properties? I have developed a few lip balms that I love and want to add a natural SPF line- I know I can use zinc oxide but just checking before going through with either options. what rosemary oil you use mrsyanni? Do u mean rosemary infused oil> or oil infused with rosemary? Great postt! I wonder what your take is on using kaolin clay (powder) as an everyday cosmetic mattyfying powder? I tried it today and it worked great on my very fair skin, but you say it shouldn´t be used every day. Why is that? I am also interested in why you said you shouldn't use kaolin regularly. I just bought a finishing powder that has it as it's only ingredient. And makeup is something you use everyday! Please explain more about your statement.